Bethany Delahunt’s Report Station art box has been getting a lot of attention, from people who know what it’s all about to random strangers who need to use a phone. 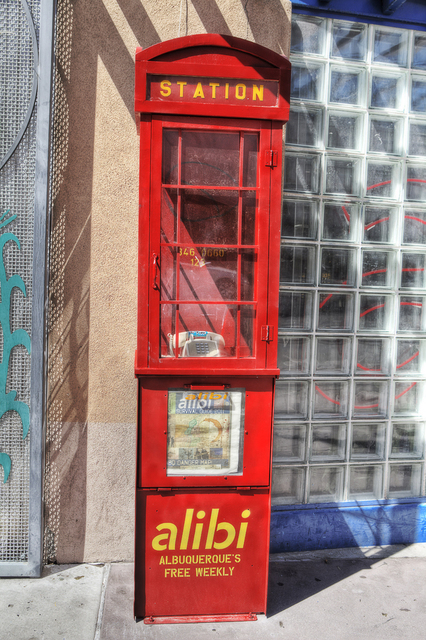 Alibi employees sometimes dial it to see if someone walking by will pick up. Anyone who’s been called from it now has the number, and many of them are calling it back. See the main article about the art boxes if you want the skinny on what the Report Station does. As promised, we will share all the strange, hilarious and touching recordings on our website. Check back every few days for more tracks. And now, without further ado, some anonymous musings from your fellow citizens.